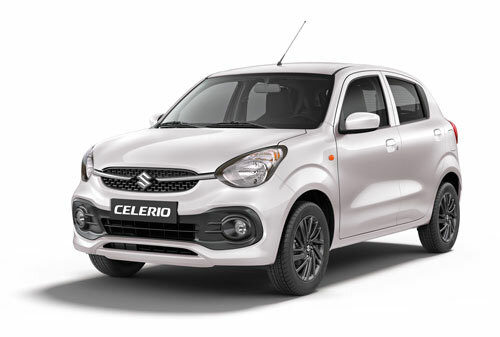 A sharp front mask with expansive character lines flow into a rear profile designed for aerodynamics that work to create a stylish silhouette, belying the spacious interior. Featuring a dynamic exterior and relaxing interior, Celerio transcends the concept of small car. 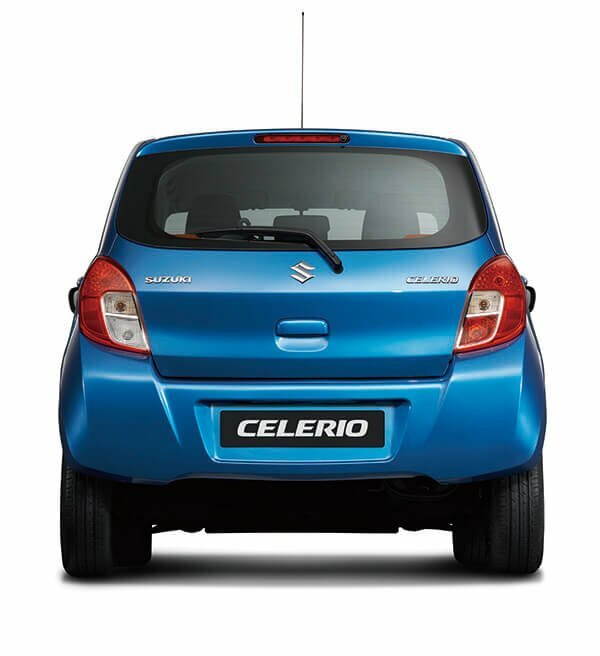 While the easy-to-read meters are sleek and stylish, there’s more that meets the eye behind the wheel of Celerio. The high seating position and expanded visibility increase the sense of freedom, while the interior design exudes superior comfort and quality to make driving through town an exercise in easy living and looking good. 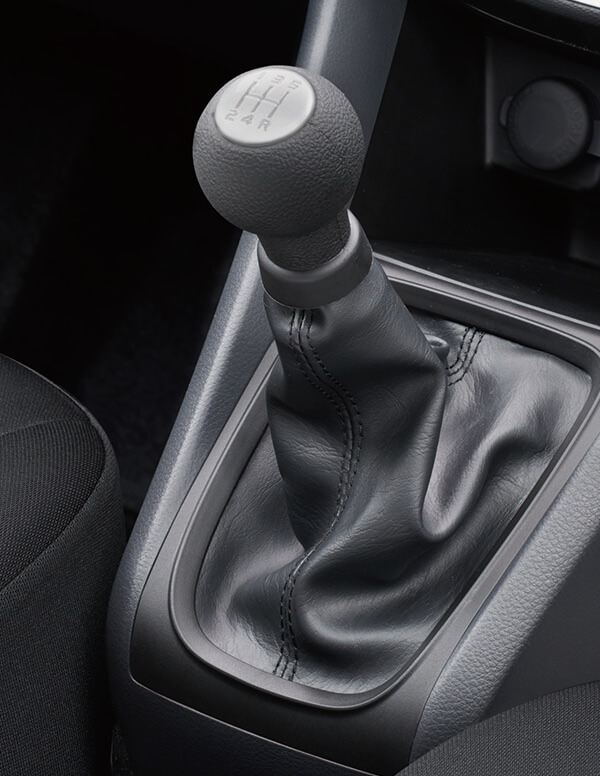 And if that’s not enough to clap about, reach for the high-mounted shift lever and try not to smile. 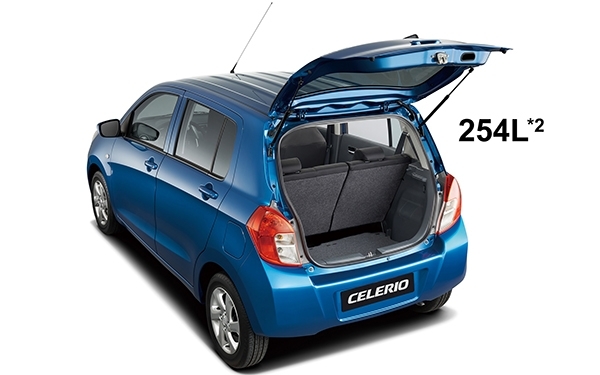 When it comes to interior space and comfort, Celerio is literally head and shoulders above the rest. 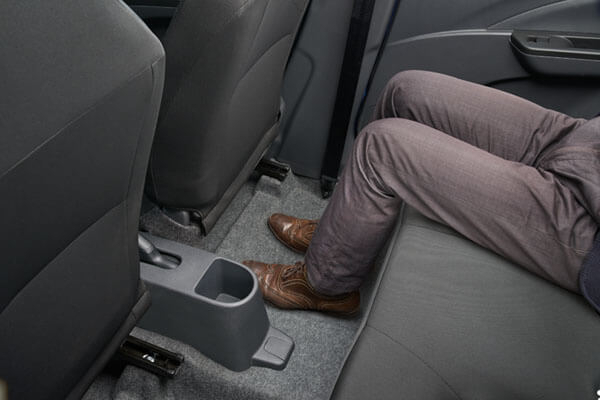 With ample room for legs and big ideas, you can stretch out and relax in a stress-free riding environment. 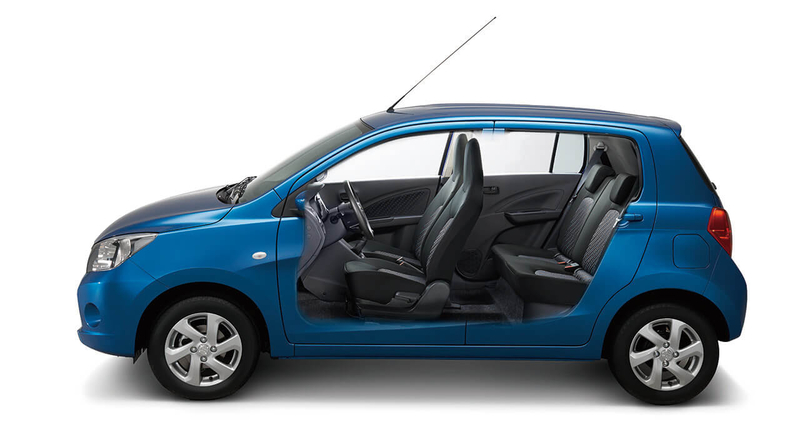 And thanks to the intelligent design, getting in and out is just as comfortable. 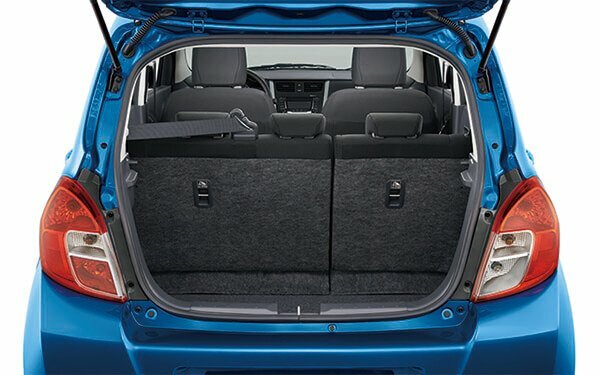 With luggage space that’s larger than your love for life, now there’s no need to worry about what to bring. 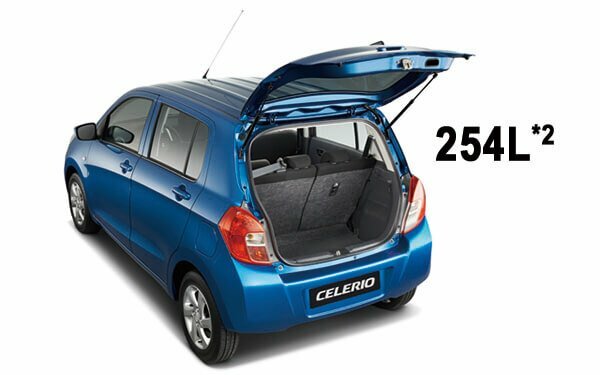 Celerio’s low-to-the-ground tailgate opens wide, oﬀering easy loading and unloading for everything you could possibly need, and then some. 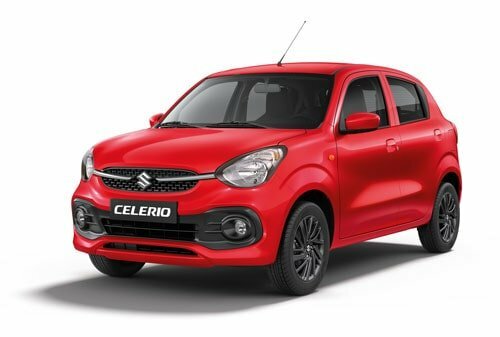 So head out and explore the city. 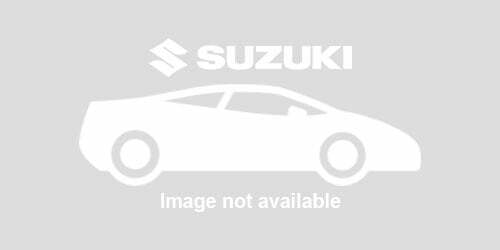 *1 Suzuki's internal research as of September, 2014. 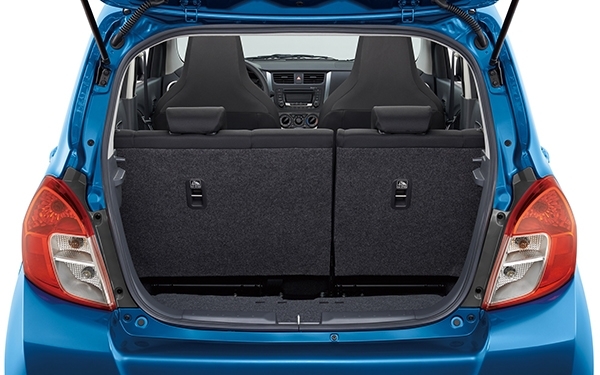 *2 Luggage capacity is measured using the German Association of Automotive Industry (VDA) method. 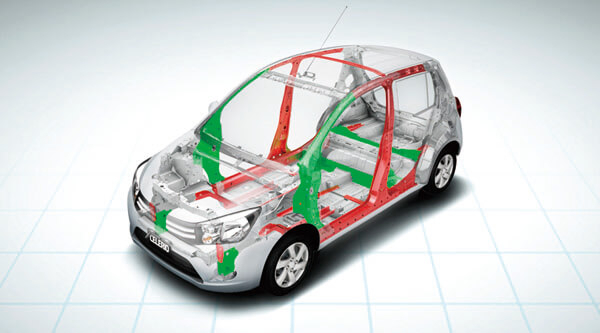 What happens when a great imagination is set free? 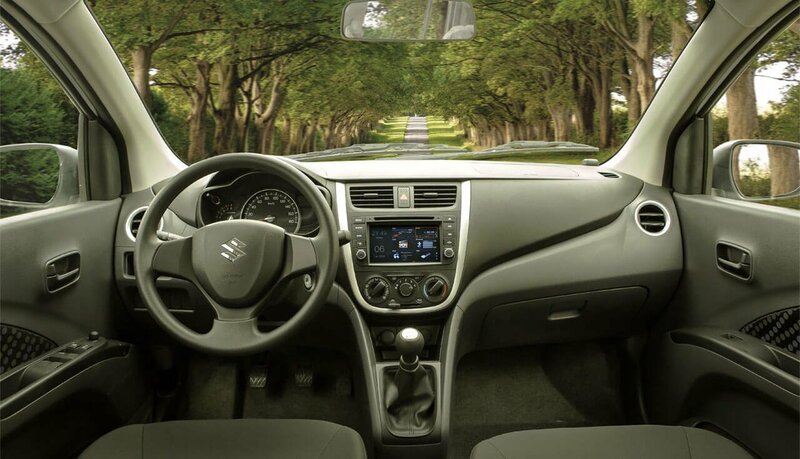 Endless possibilities and a lot of fun behind the wheel. 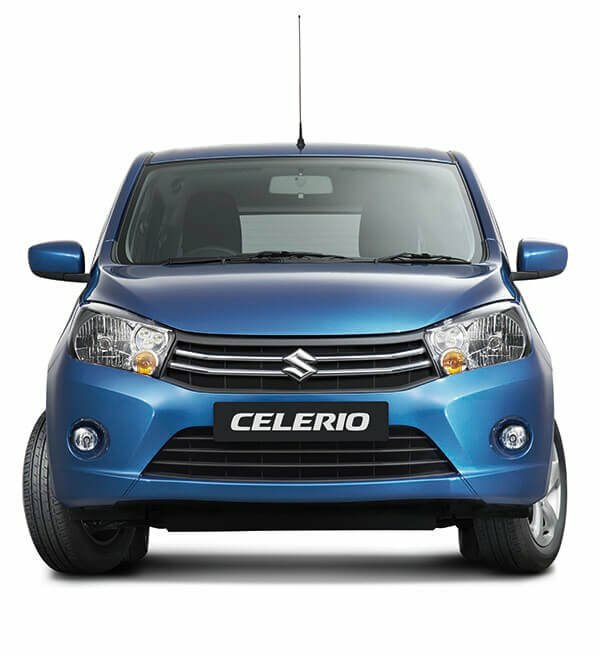 So whether it’s a quick trip to market or a day out filled with moments to remember, when you drive Celerio, the experience is as unforgettable as it is fuel efficient. 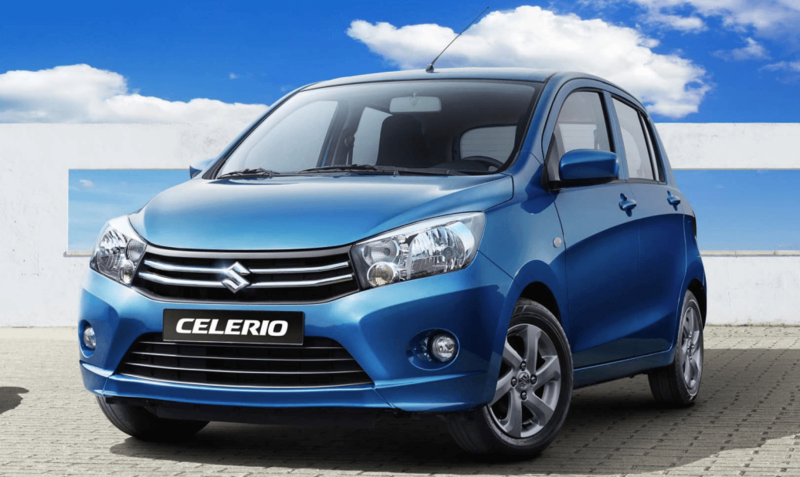 Whoever said “you get what you deserve” surely hadn’t driven the new Celerio. Brimming with everything you ever wanted in a car, Celerio handles even the tightest city driving with ease and panache. 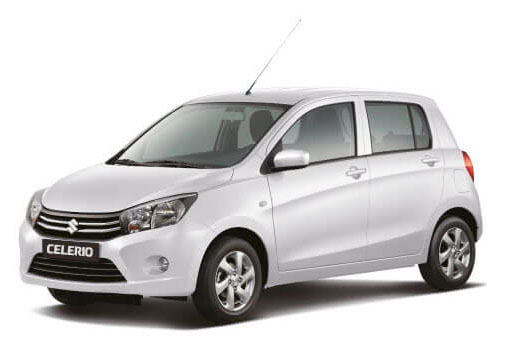 The K10B 1.0-litre petrol engine oﬀers dynamism in a lightweight design. 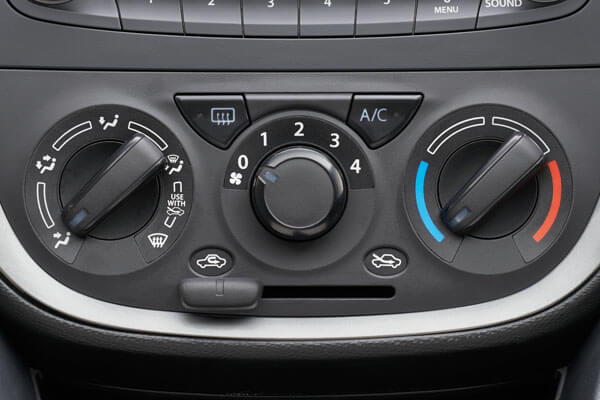 So not only do you get to enjoy the quick, vigorous drive, weight-reducing innovations to the engine unit, mounts, radiator and fuel tank oﬀer better fuel performance. 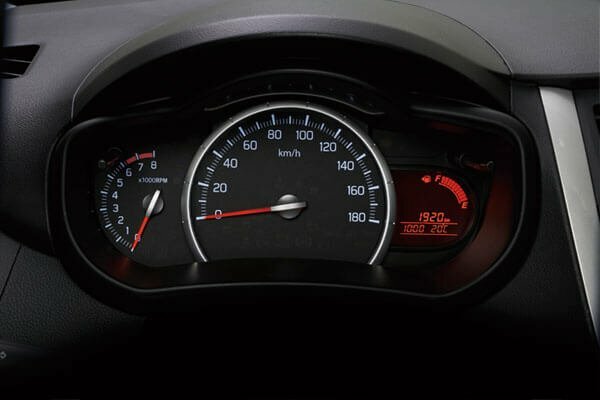 The CVT incorporates an auxiliary gearbox that increases gear ratio range for a good balance between acceleration performance from a standing start and fuel eﬃciency at high speeds. 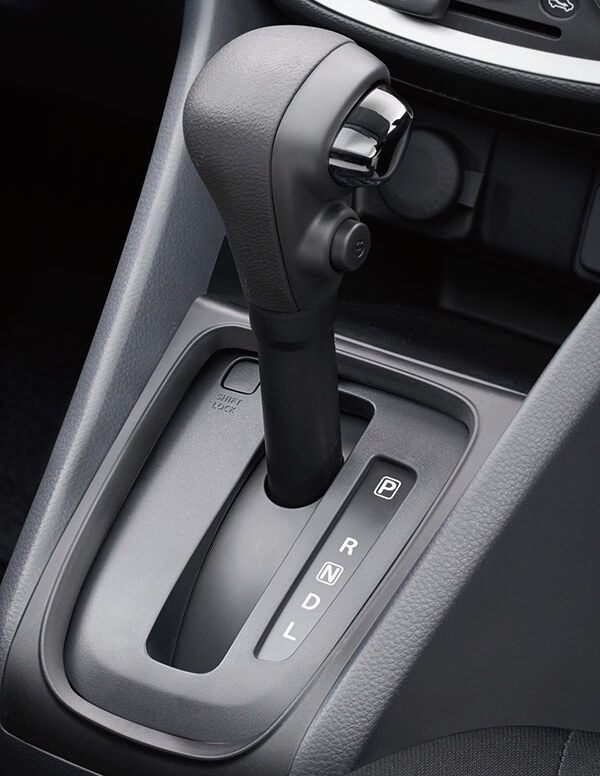 A new 5-speed manual transmission provides comfort in traﬃc and smooth acceleration through all ﬁve gears. 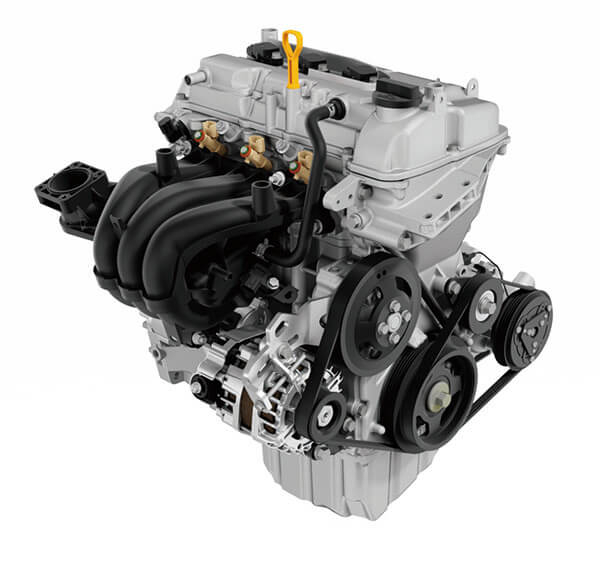 Numerous innovations help save fuel by minimising torque loss. 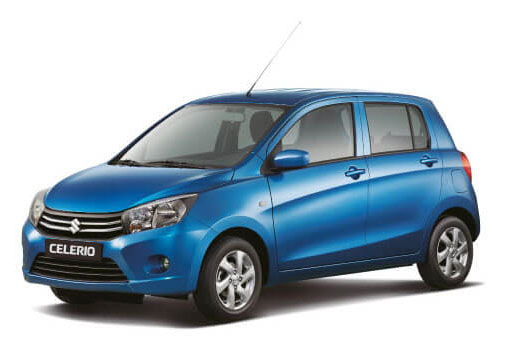 Whether in the driver’s seat or just going along for the ride, know that you are in good hands with Celerio. Scores of leading passive and active safety features are hard at work making sure the drive goes your way. Making effective use of high-tensile materials, Suzuki Total Effective Control Technology (TECT) realises a high-rigidity, low-weight body that improves collision safety. 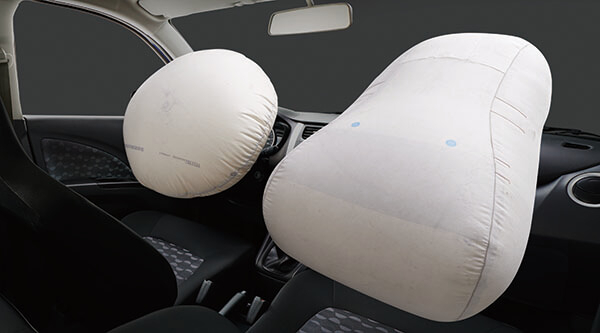 Front airbags mitigate the impact to driver and front passenger in the event of a frontal collision.